What I love so much about theatre is the education behind some pieces. I also love how some pieces and bring history back to life whether it’s a famous person or a specific event. 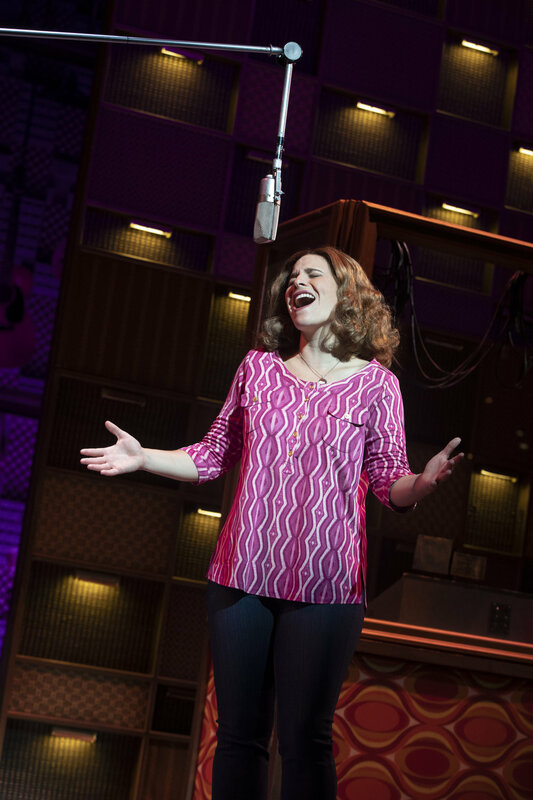 That is what audiences get with Beautiful: The Carole King Musical. The musical tells the early and late life of Carole King, the famed song-writer turned singer who has written some of the world’s most well-known songs including “I Feel the Earth Move,” “Natural Woman,” and “You’ve Got a Friend.” The show The show originally was on Broadway in 2014 and still is on today, playing at the Stephen Sondheim Theatre. The original production earned seven Tony nominations and winning two of them including Best Sound Design and Best Leading actress in a Musical, for which Jessie Mueller won the title role. The bio musical, as mentioned, is about Carole King. It begins with her as a young insecure girl who has a passion for writing songs. Her mother has other plans and wants her to give up this dream for something more practical, like teaching. She makes a bet that Carole must give up song writing if she can’t sell her next song. Carole beats her mom in this bet as she travels to Manhattan for the day and ends up selling her first song to a producer named Donnie Kirshner. Soon after, Carole meets lyricist Gerry Goffin and starts a relationship with him, both personal and professional. After that, Carole becomes pregnant and they get married. The plot jumps forward a few times and audiences then meet another young duo known as Cynthia Weil and Barry Mann. As we get to know Carole more we discover that she had quite the bumpy road with her husband who cheated on her multiple times. As Carole begins to feel even more hopefulness, she finally gains the courage to leave Gerry and start a new life with her two kids and eventually recording her first album and even performing at Carnegie Hall. The actual writing of the show is well done and weaves her own music in brilliantly. Unlike other jukebox musicals, this one uses a very interested approaches to implementing the songs. Some of them are straightforward as they are song on stage as she writes them. Others begin with her and Gerry singing before it transitions to an actor portraying the person who ended up making the final record of the song. A few times the song will depict part of her life to advance the plot further. It’s a refreshing way to write a bio musical along with the fact that it is also a jukebox musical. From a technical side the show is not that impressive. It very much relies heavily on the music and plot. The set features different furniture and door pieces to depict offices, living rooms and record studios. The very backdrop does feature a hodgepodge of guitars and various musical instrument and devices from the 60s. I think while the set isn’t very memorable, it does allow the audience to really focus on the story and message it tells. It doesn’t need a big fancy technical set with special effects. The heart of the show is in Carole and the music she sings. Beautiful has a remarkable cast from the ensemble to the leads. Many of the ensemble members even get songs to perform solo because they double as real performers and the ensemble. Dylan S. Wallach plays Gerry and is charming with a gorgeous tenor voice. Alison Whitehurst plays Cynthia Weil and is a blast to watch on stage. She brightens up the stage with her quick wit and fast pace conversations. She was certainly a highlight of the show. Barry Mann is played by Jacob Heimer and has great stage presence with a variety of comedic bits. That is something I was surprised about the plot as well, it was surprisingly funny! Sarah Bockel leads the show as the title role, Carole King herself. She was beyond incredible. The character development that she goes through is effortless and her voice is powerful. You can feel the pain she has when she sings during the worst parts of King’s life. I especially enjoyed Bockel’s mannerisms as King. I didn’t know a lot about her before the show other than a small handful of songs however after seeing it I went through a Youtube wormhole and watched countless of videos of King. She really had not only the voice but her mannerisms as well. It was scary good. 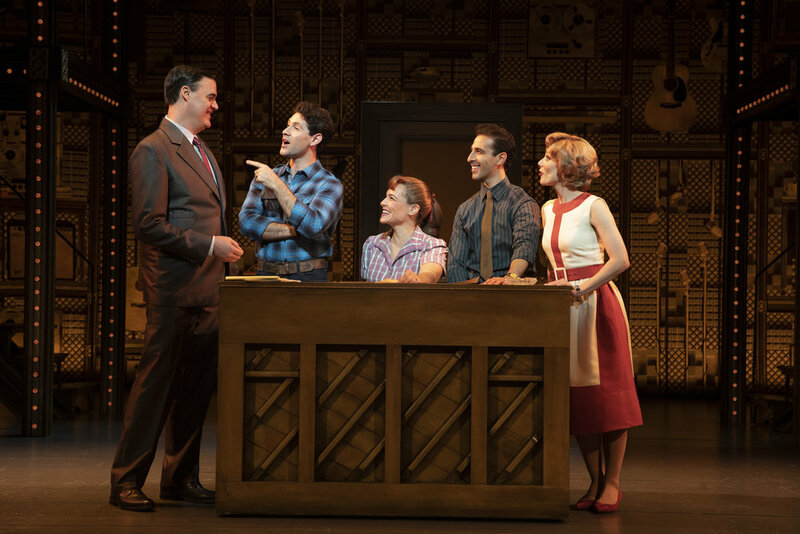 Beautiful: The Carole King Musical is a lovely celebration of music and the lessons of perseverance. King shows that you can never give up on your dreams. This production plays at the Orpheum Theatre through Hennepin Theatre Trust now through Saturday, October 27.